Vending Machine Service Companies SAUDI ARABIA listed below. 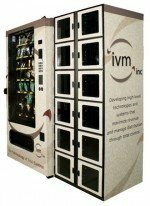 These vending machines suppliers may offer these Free Vending Machines types: Snack, Soda, Combo, Food, Frozen, Healthy vending machines, Micro Markets, Coin-Op Amusement Games, repair services and more! Please contact these vending machine operators directly for more information about their breakroom refreshment vending services. BOJYL INTERNATIONAL TRADING COMPANY – Vending machine suppliers. Jeddah, Saudi Arabia. Industrial Manufacturing. Jeddah, Saudi Arabia. As one of the leading & fastest growing vending operators & distributors Vending Trading Est. ("VTE") supplies its clients, with superior vending products & services. Our first priority is to maximize customer satisfaction in order to maintain and enhance our reputation as an admired provider of vending solutions. Through our website, we aim to offer to you the information you need whether you are a prospective buyer of vending machines or interested in one of our vending services, http://www.vending.com.sa.